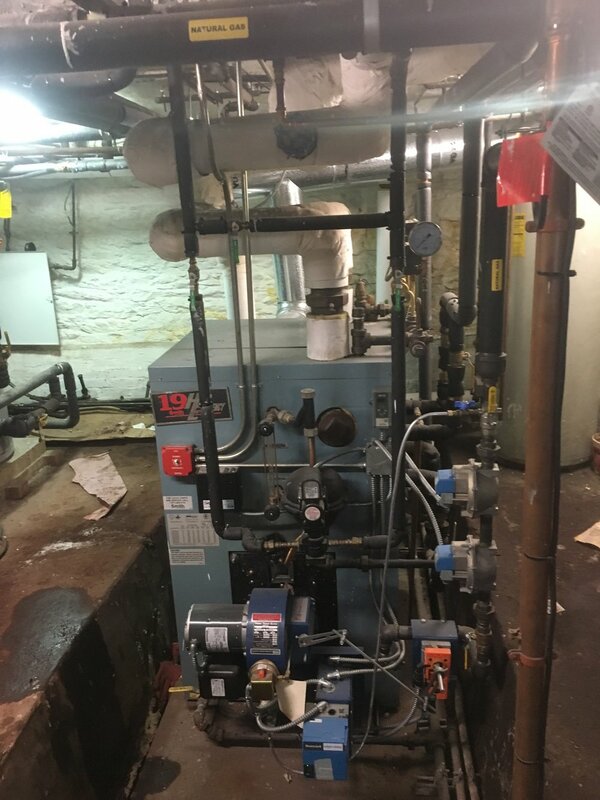 Oil to gas conversion with the installation of a new steam boiler and 2 storage tanks along with TRVs on all the radiators and master vents on the risers. Description of the installation: NEW HB SMITH BOILER 19HE-S-5 587,000 BTUS; thermostatic radiator valves on all the radiators to control heat and comfort per room; and redlink thermostat for control of the heat for the building. The installation of master vents, TRVs, proper thermostat and a proper heat loss calculation allowed us to install a boiler that was almost half the size of the original boiler. Domestic hot water: 2 storage tanks.